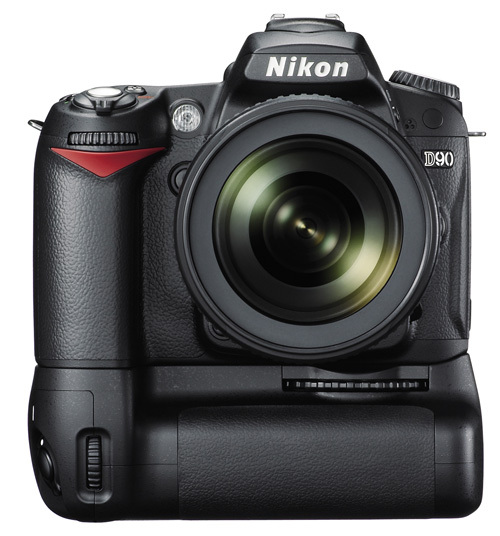 Nikon USA has announced the D90, which updates the two-year old D80 DSLR. The new D90 increases resolution to 12.3 megapixels and includes the high resolution 3” LCD screen featured on the D300/D3/D700. Also introduced is the 18-105mm AF-S VR lens which will be available as a kit lens with the D90 or a standalone. Below are Nikon Press Releases for the new camera and lens. Full D90 Specifications and a Brochure comparing current Nikon models are available at Nikon USA. The Nikon D90 and 18-105mm lens will begin shipping sometime in September. We plan a review when production D90s are available. MELVILLE, N.Y. (Aug. 27, 2008) – Nikon Inc. today announced the D90, a digital single lens reflex (SLR) camera that redefines the creative boundaries of digital photography allowing photographers to easily create stunning still images and High Definition (HD) movie clips with sound—with the same camera. A host of Nikon core technologies were leveraged to develop the D90’s scope of versatility, calling on years of photographic and optical expertise. Whether consumers are graduating from an advanced compact digital camera or are a seasoned D-SLR enthusiast, the Nikon D90 emphasizes brilliant image quality and versatility with its exclusive advanced Scene Recognition System, intuitive creative controls, blazing fast performance and the industry-first ability to create HD movie clips at 720p in the new D-Movie mode. Inspired by Nikon’s acclaimed flagship DX-format digital SLR camera, the D300, and building on the success of the wildly popular D80, the D90 delivers stunning image quality. The CMOS image sensor and 12.3 effective megapixels combined with Nikon’s exclusive EXPEEDTM image processing system deliver outstanding images with fine details, smooth tones, brilliant colors and low noise across a broad ISO range. Photographers are able to easily compose stunning images using the Live View Mode on the large 3-inch 920,000-dot high-resolution LCD screen. The 11-point auto focus (AF) system utilizes Nikon's exclusive Scene Recognition System and Face Detection to help make the best shot in a variety of environments. Matched with the new versatile AF-S NIKKOR 18-105mm Vibration Reduction (VR) image stabilization lens, and a burst rate of up to 4.5 frames per second, photographers can confidently capture fast action and precise moments as they unfold. Also helping to ensure no memory is missed, the D90 offers fast handling with a power-up time of a mere 0.15ms and split-second shutter response measuring just 65ms, eliminating the frustration of pictures lost to shutter lag. For shooting in a variety of lighting conditions, the D90 has a wide sensitivity range of ISO 200 to 3200 (expandable to Lo 1 ISO 100 and Hi 1 ISO 6400) to deliver incredible low-noise images. 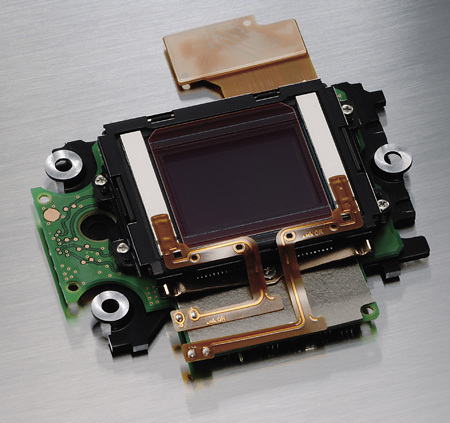 The camera also employs an Image Sensor Cleaning function that works to free image-degrading dust particles from the sensor’s optical low-pass filter, helping to ensure spot-free images. The new D90 companion lens, the AF-S DX Zoom-NIKKOR 18-105mm f/3.5-5.6G ED VR provides a versatile focal length, and the benefits of Nikon Vibration Reduction (VR) image stabilization technology. Nikon VR reduces the image blurring effects of camera shake allowing photographers to shoot hand-held at as many as 3 shutter speeds slower than would otherwise be possible, assuring dramatically sharper images, even in challenging lighting conditions. 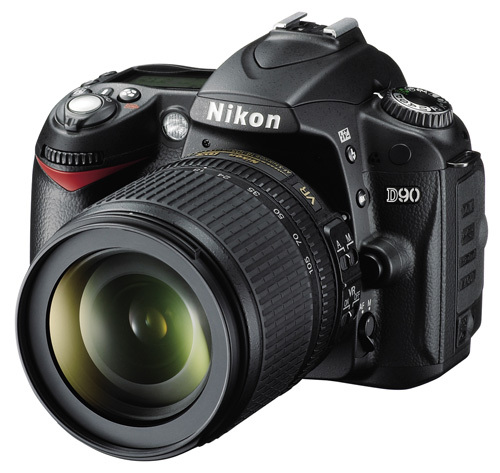 Borrowed from Nikon's professional line of digital cameras, the D90 is the most affordable camera to include Nikon's Scene Recognition System and adds newly-developed advanced Face Detection technology. The intelligent Scene Recognition System interprets color and brightness information of each individual shot from the 420-pixel RGB sensor, and applies changes to AF, auto exposure and auto white balance. The D90 can also detect up to five faces using the new Face Detection system, producing flattering portraits with astounding definition and accuracy. While in playback mode, simply press the zoom button and portraits captured with Face Detection can be immediately magnified to ensure proper focus on the subject and faces are displayed on the LCD screen within brackets for easy reference and subject tracking. The D90 benefits from Nikon’s comprehensive digital image processing engine, EXPEED, which provides smooth tones, rich colors and defined image details, as well as enhanced processing performance. Additionally, Nikon's exclusive 3D Color Matrix Metering II helps to ensure accurate exposures, even in the most challenging lighting conditions. Evaluating each scene, input data from the system's sensor is automatically referenced against an internal database of over 30,000 scenes derived from actual photographs to calculate correct exposure values. To push the creative boundaries even further, Variable Center-Weighted metering and Spot metering centered on the active focus area are also available, as are exposure compensation and auto exposure bracketing. For the first time in digital SLR photography, Nikon introduces the addition of the D-Movie mode, allowing consumers to create their own HD movie clips (1280 x 720) with sound from their D-SLR camera. Photographers will appreciate the cinematic qualities that come from the 24fps frame rate, which matches theatrical film, whether producing vacation clips or creatively melding stills with video. Additionally, the large size of the D90’s DX-format sensor, combined with the optical superiority and broad selection of NIKKOR lenses, provides shooters with the ability to capture amazing perspectives not possible with typical camcorders. 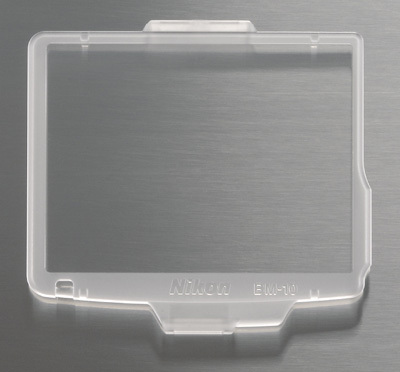 D-Movie clips also benefit from Nikon VR image stabilization, which is automatically activated during recording to aid the low-light capability that trumps many other hybrid devices. Users can record movie clips onto an inserted SD / SDHC card, created as Motion JPEG AVI files that are easily edited with widely available video editing software. 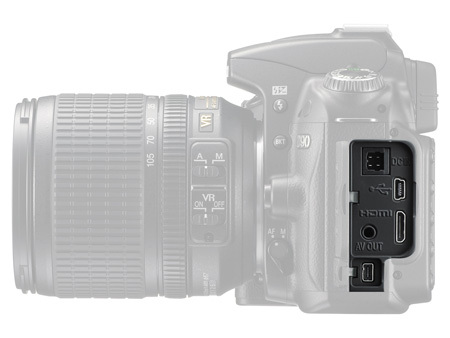 The D90 also features an HDMI terminal, allowing viewing of both pictures and movies on High Definition televisions. 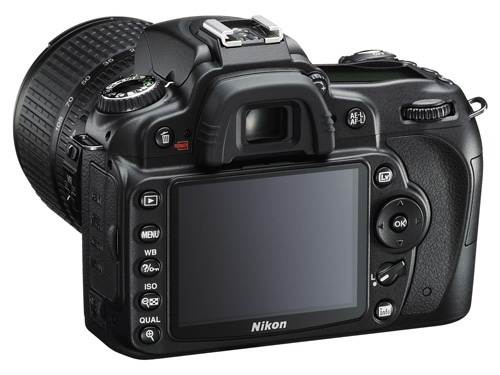 The D90's unprecedented start up time and imperceptible shutter lag derives from the same standards as the professional sports photographer choice, the Nikon D3. JPEG bursts can be shot as rapidly as 4.5 frames per second, allowing photographers to capture detailed action sequences or catch fleeting expressions that might otherwise be missed. Images are also processed and previewed rapidly at 120ms, which is less time than it takes to move an eye from the viewfinder to the screen. Users are also able to creatively stop the action with a maximum shutter speed of 1/4000 second or create long-time exposures down to 30 seconds. 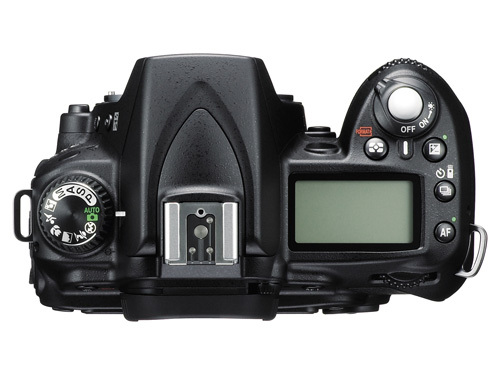 Nikon's 11-point AF also offers best-in-class speed and performance, helping to ensure sharp focus at any focal length. Adopting a refined version of Nikon's advanced Multi-CAM 1000 AF Module, the AF system’s center area wide-frame operation adds inherent focusing options that will instill greater confidence in getting the desired shot. Single-point AF is suggested for static subjects, dynamic-area AF for moving subjects, auto-area AF for spontaneous shooting and 3D-tracking (11 points) AF for when changing the composition after focusing on a subject. No matter the level of experience, the D90 makes high-quality photography fun and easier for a remarkably broad range of picture-takers. Users can enjoy complete control over all manual features or let the camera optimize settings automatically. For the camera novice and photography enthusiasts, the D90 puts all of the tools to explore new creative possibilities at their fingertips through the simple menu-driven interface. For those looking to enjoy the added performance and versatility of digital SLR photography, creative shooting is as simple as rotating the Mode dial with Advanced Scene modes on the camera. There are many options when it comes to realizing creative vision, such as Picture Control settings to provide an assorted palette of color effects that optimize color, saturation and hue through user-selected choices of Standard, Neutral, Vivid, Monochrome, Portrait, and Landscape. Popular editing tools such as Nikon’s exclusive D-Lighting and image trimming, image overlay, and a wide assortment of color filters can also be applied to images after capture. The D90 also offers unprecedented compatibility with Nikon’s extensive selection of NIKKOR lenses, including DX NIKKOR lenses, which are designed for optimum performance with Nikon DX format digital SLR cameras. NIKKOR lenses offer legendary optical superiority and add to the D90’s ability to deliver outstanding images. Paired with the D90 is the new AF-S DX Zoom-NIKKOR 18-105mm f/3.5-5.6G ED VR lens, which provides a versatile 5.8x optical zoom and VR image stabilization, for even sharper handheld picture taking. This lens offers a 27-157.5mm focal length in 35mm equivalent, a one-lens solution that offers a broad focal range to let photographers get up close and personal to their subjects from a distance, or wide for breathtaking landscapes. The built-in Silent Wave Motor ensures quick and quiet AF operation, while an aspherical element and ED glass deliver high resolution, high contrast images with minimal chromatic aberration and distortion. Photographers will also enjoy advanced functionality anywhere in the world with system accessories designed for the adventurous globe trekker. 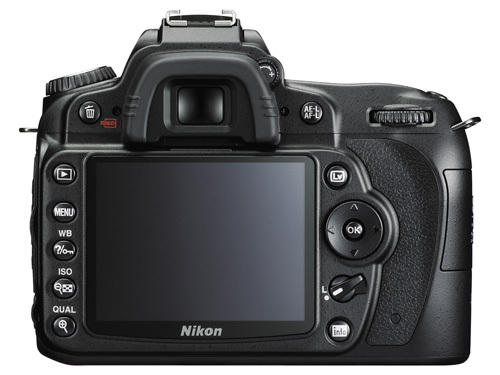 When used with the Nikon GP-1 GPS unit (available separately beginning November 2008), the D90 provides geotagging to images with latitude, longitude and altitude data imprinted on the images' metadata. Users can also prolong their adventure with the MB-D80 battery pack that accepts two EN-EL3e or six widely available AA-size batteries. Additionally, photographers can share and upload their images with a wireless interface optimized for the Eye-Fi™ wireless enabled SD card wherever there is a wireless network. The D90 is also fully compatible with Capture NX2 software (available for purchase separately), Nikon’s highly versatile and elegantly simple new photo editing solution designed to help photographers tap into the full potential of NEF (RAW) images. Featuring an innovative user interface that provides easier access to powerful and visually intuitive enhancement tools, Capture NX2 affords photographers the ability to use revolutionary control points. The D90 will be available throughout the United States beginning September 2008 at an MSRP of $999.95** for body only and $1299.95** for body and lens outfit that includes the new AF-S DX Zoom-NIKKOR 18-105mm f/3.5-5.6G ED VR lens. The GP-1 GPS unit will be available in November 2008, and pricing will be announced near the time of its delivery to the marketplace. For more information, please visit www.nikonusa.com. I think what's most interesting about the video capabilities is the back door. It has HDMI out and although this is for a viewing use I believe it does 1080 although there is not much info out there. An Intensity from Blackmagic can capture output from HDMI. I wonder how good that video recording works... There are very few things that are needed to make a great camcorder. Is it comfortable to hold and point around while looking at the LCD at the same time? Can you easily pause and resume recording? Can you easily change optical zoom while recording? Do the image stabilization, auto-focus and auto-whatnot features work well in video mode? 1080p would have been so great to have... and I'm sure it will come to other models in a couple of years. But the above factors are certainly more important than resolution and if they got those right, I am definitely buying it. Yet another MP increase on a mid level camera(in the last week), but no mention of Dynamic Range ? Hell Nikon, Canon, whoever, give me a camera that is hand crank operated but increase Dynamic Range damnit !